Established in 1919, KYB (Kayaba) produces a variety of ride control, hydraulic and electronic products used in original equipment and replacement parts in automobiles, motorcycles, specialty vehicles, aircrafts and industrial application. 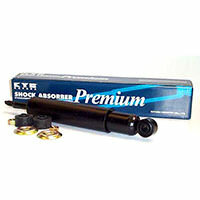 Nearly one in every four automobiles comes with shocks and struts produced by KYB. The KYB Corporation, headquartered in Tokyo, Japan, has operations in North America, South America, Asia and Europe. 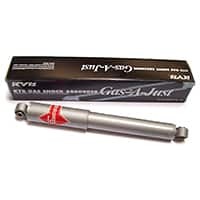 This is KYB's mid-grade product, which is a gas pressurized shock that is uprated 25% from their premium oil-filled shock, but does not offer the full adjustability of the Gas-A-Just top-end shock. 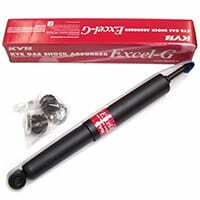 Front application, sold each. 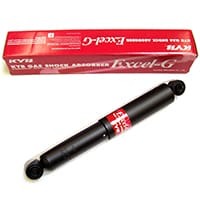 This is KYB's mid-grade product, which is a gas pressurized shock that is uprated 25% from their premium oil-filled shock, but does not offer the full adjustability of the Gas-A-Just top-end shock. Rear application, sold each.